I have a really big problem in my name numerology. My day number is 1, life number is 2, and name number is 7. Is there anything wrong with these combinations? I never had any good luck in my whole life of 22 years. Kindly explain how it happened to me. Besides I had intended to start my own new business and by consulting your website, I'm planning to name it MAB ARTS which will sum up to number 2, which is same as my life number. Is it fine? But what about my name? My name number is 7. Tell me if it is correct. Your name numerology numbers are 1 & 2 and you have a name in 7. It is a great pity. 7 is not lucky for you even though many web sites claim it to be lucky for the 2 borns. Yes. It is lucky to wear a gem of 7 like cat's eye or marry a partner whose number is 7. But it is not lucky for your personal name. Because your name is more valuable than the most precious jewelry you can own and it must be perfect in all respects. You have to correct your name not by a mere number, but also verify that the vibes from each name part and the overall name are lucky for you. This you can do in name numerology only if you can measure these vibes. If not, you must take help from people like me. You must not to correct your own name and commit numerology suicide. Like for example the name you thought up for your company MAB ARTS which comes to 7 + 10 = 17 = 8 in Saturn which is clear numerology suicide. In Chaldean name numerology, 2 is not lucky for 2. Your business name must not be 2. Not lucky for any one else. It is another form of name numerology suicide if you follow Pythagorean numerology which is used to misguide the gullible public by changing few alphabets in their names calling it as numerology. It is never too late. Even now you can improve the quality of your name and perfect it to be lucky for you. But for that to happen, you must take the name from me by my system of name numerology which incorporates numerology, astrology, and bioenergetics. I go through your site on name numerology quite often and I like it. It is beautifully designed with lots of useful content. I wish to engage you for my work and here are my details. 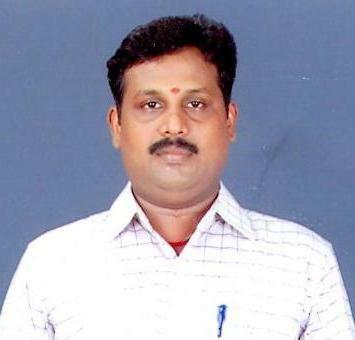 I am K.Eyalarasan working in Chennai in one Private company. My date of birth is 28/10/1975. I want to first know if my name is correct for numerology format. Kindly reply to me on this. your name is K Eyalarasan. You are born with 1 & 6. Your name comes in the name numerology of 2+23=25. It falls in Kethu's vibration. Kethu is a retrograde planet referring to Divinity, Simple Living, and High Thinking. It is not good for worldly pursuits of enjoyments. Therefore, if you want to shine in worldly achievements and enjoy the pleasures, you must correct your name. Apparently, your name is extremely attractive. It also proves that an attractive name need not be your lucky name. Like an attractive girl need not not be lucky for you in your married life. Your name lacks the pitch to take you to success. It is not correct as per name numerology or bioenergetics. I have not analyzed it yet as per astrology, but I shall do so when you apply for it again through the contact us form in this web site. Also kindly note that 28 is a weak number as per name numerology. It is debilitated by the influence of Saturn on Moon. It is the inferior form of Sun with lesser powers to do you any good. When this weak birth date afflicts you, Kethu rejoices in having its ways preventing your worldly attainments according to texts in name numerology. It robs the benefits of your lucky 1 & 6.